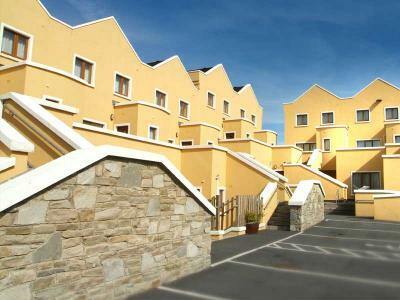 The ideal choice for an extended holiday in Clifden. Choose from 2 or 3 bed-roomed suites. Two bed-roomed apartment sleeps a family of five while our three bed-roomed apartments sleeps a family of six. Use all the facilities at the hotel such as the leisure centre and renew spa while having your own space in your apartment. Kids can attend the Railway Kids Club when operating and also be entertained in our state of the art cinema with all the new releases. Check in 5pm, check out 10am. Make the Clifden Station House Self Catering Apartments your base for exploring the beautiful, scenic Connemara region. Our 4-star self-catering suites are situated in the hotel courtyard . Choose from two bedroom suites or three bedroom suites, built to luxury 4-star standard. Gym, Swimming Pool & Parking included in price. All Mod Cons & Free WiFi in each Apartment. Check in 5pm & check out 10am.